Peanut butter and jelly. Avocado and toast. These are classic combos that just go with each other, and are quite honestly better together than apart. 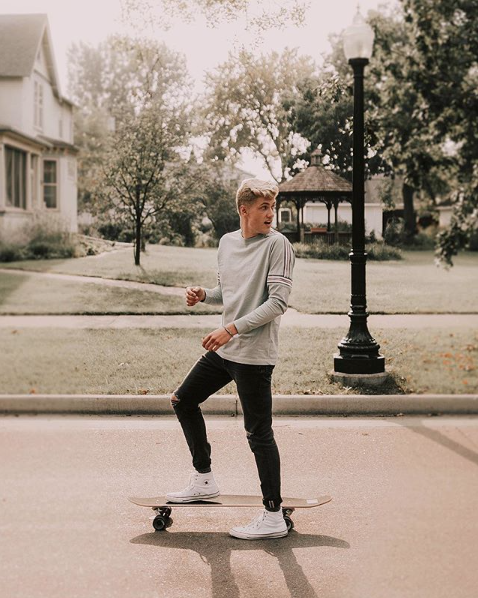 The same can be said for certain fashion duos, and the combo we’ve been spotting a lot on the street-style scene is white sneakers and jeans. 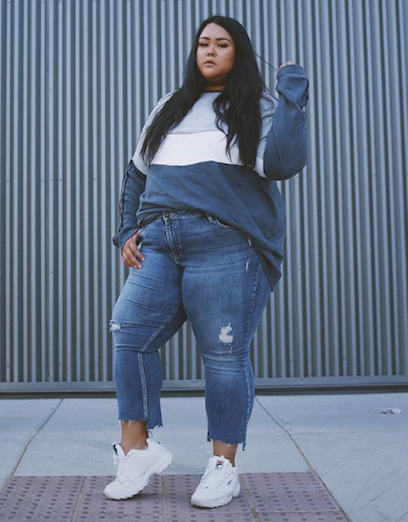 With athleisure being the look as of late, sneakers have made a huge comeback. There’s just something about a bright white pair that brings a casual-comfortable sophistication to whatever look they finish. Plus, they go with every kind of outfit, no matter what your personal style might be. 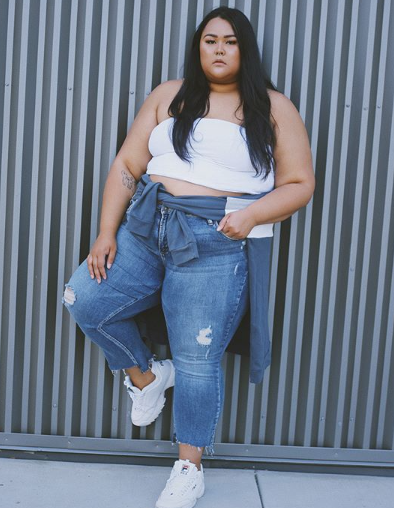 Get ready for some major inspo because below, we’re featuring our top five jean-and-white-sneaker combos from our favorite Instagram influencers. 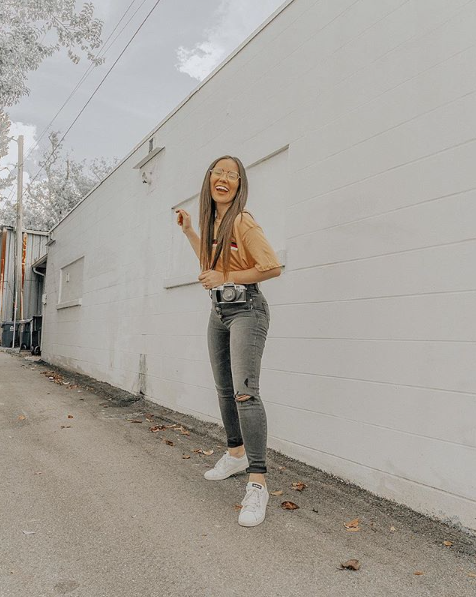 A breezy kimono, white tee, baker boy hat and our Robson high-rise jegging—seems like @momentumgirls has got free-spirited street style on lock. We love how they finished the look with this classic white leather sneaker that was made famous in the ’80s for an extra touch of nostalgia. We can certainly always count on @fromevelynsheart to give us major vintage style inspiration. So it’s no surprise that we love this retro graphic tee and authentically faded black wash Robson outfit combo. But above all, her iconic all-white low-top sneakers might just be our favorite part. We love any shade of indigo, and we love @shamelesscreature‘s take on monochrome even more. She paired our Mazy Boot Crop and an oversized sweater with the dad sneaker of the moment. We’re completely obsessed! The only thing better than head-to-toe black is all black with a bright white sneaker. 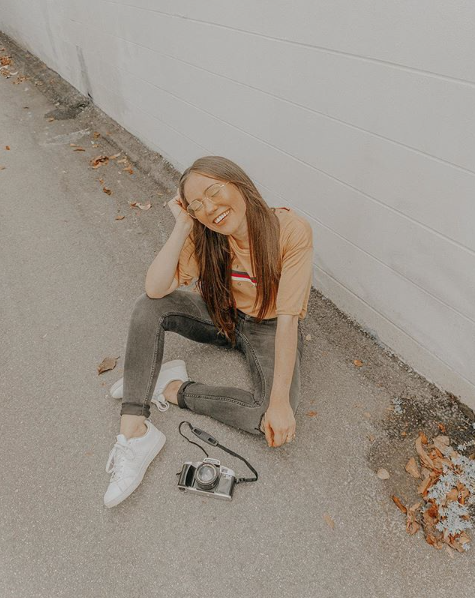 We love how @momentumgirls paired our Robson jegging with a modern mesh top and this classic leather high-top to give it the perfect mix of dressy and casual. 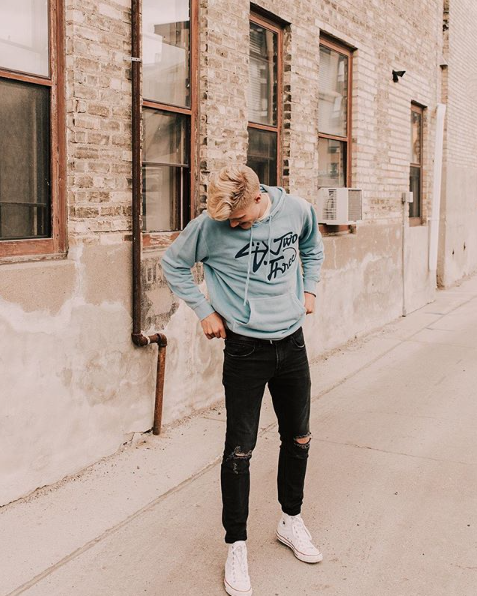 Hoodie weather is officially upon us, because it seems like @sweetlifeofevan is wearing one and his Taavi skinny fit on repeat. He finished the look with the can’t-go-wrong white canvas high-tops that everyone owns. So next time you’re looking for a never-failing shoe to pair with your new jeans, look no further then a fresh, clean white sneaker. Which combo is your favorite? Comment below!